Method 1: Click on QUICK OVERVIEW to read its brief description. Method 2: Directly click on the product you want to buy to read the detailed information, product description, instruction for use and preservation… before making your purchasing decision. After choosing your desired product, adjust its amount, color and size as you wish and then click on ADD TO CART. The product will be automatically added to your cart. 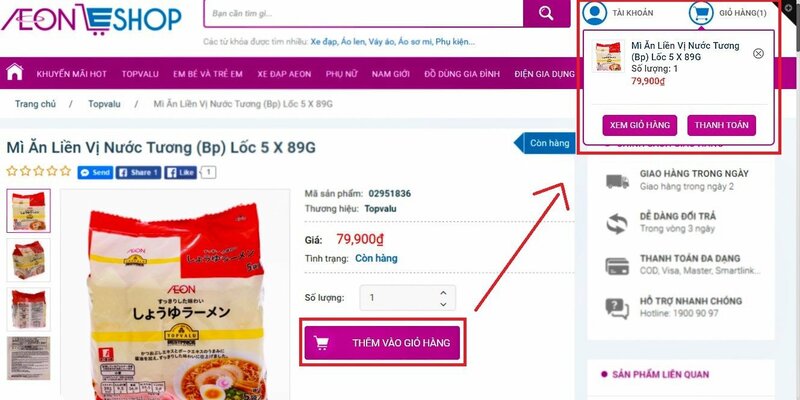 After choosing the product, click on the cart symbol to check its information. Here, you can adjust the amount ordered or delete the chosen product or continue buying. You can also input some notes for your order. After checking your cart, click on PAY to go to the order page. If you already have an AeonEshop account, click on SIGN IN. Otherwise, fill in your order sheet. Check the delivery and total cost. Input your discount code (if available). Click on ORDER DONE to complete your order. Please kindly note that you should read and fully understand these regulations before placing your online order. Logging in our website and making orders means that you have accepted and understood every information and regulations of your transaction with AEON. -When you make an order on Aeoneshop.com, we will be informed of that and will send your order code. However, you are first required to confirm your order. Aeon only confirms the order if it meets our criteria on Aeoneshop.com. - In order for the order to be confirmed quickly, please provide precise and full information about delivery, discount regulations and conditions (if available). -AEON accept the following payment methods: cash on delivery, international and national payment card. Please refer to the payment policies on our website. -Except for some specifically noted cases, you can usually choose one from the 3 payment methods above when placing your order. 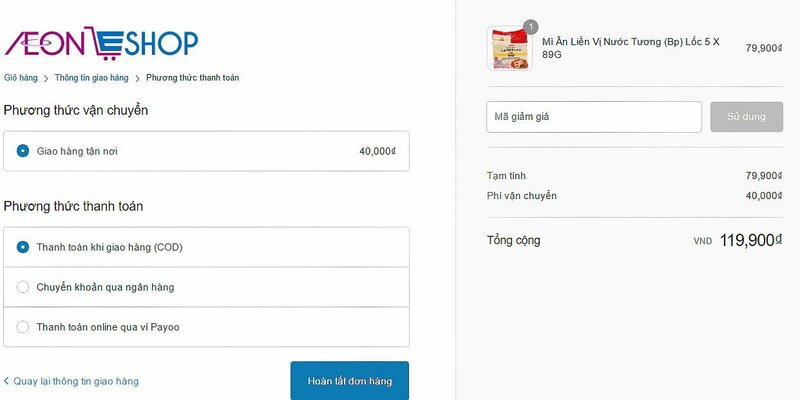 However, to ensure security during the payment process and full abiding to the law, for orders whose value is 20 million VND or more, AEON only accepts payment by international or national payment card. - To ensure your benefits, AEON organizes numerous promotional campaigns for online purchasing. We will announce in detail the information and regulations of the campaigns on our website whenever one is in progress. Please log in often to participate in our campaigns. To protect your rights and ensure that the campaigns are run as we have announced and registered with the authority, please read and understand the information about our promotional campaigns. - AEON may deny orders that do not meet our promotional campaigns’ regulations and conditions without informing the customers. Therefore, please carefully check the regulations of every campaign before participating in. Please refer to AEON’s shipment policies posted on our website. 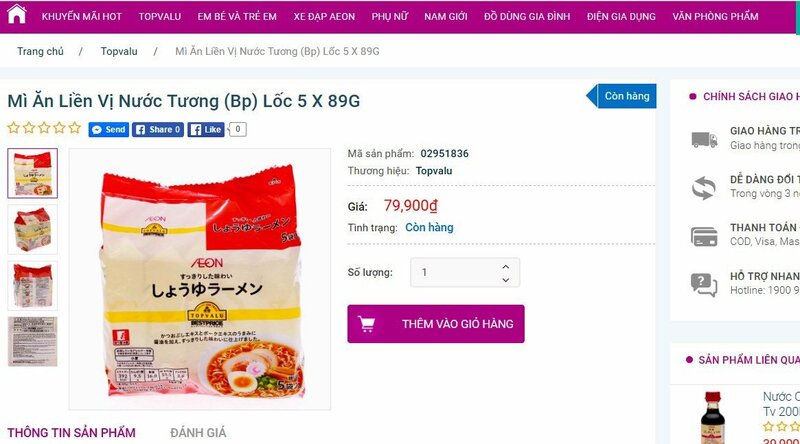 AEON only carries out shipments inside HCM City, excluding Can Gio and Cu Chi District. 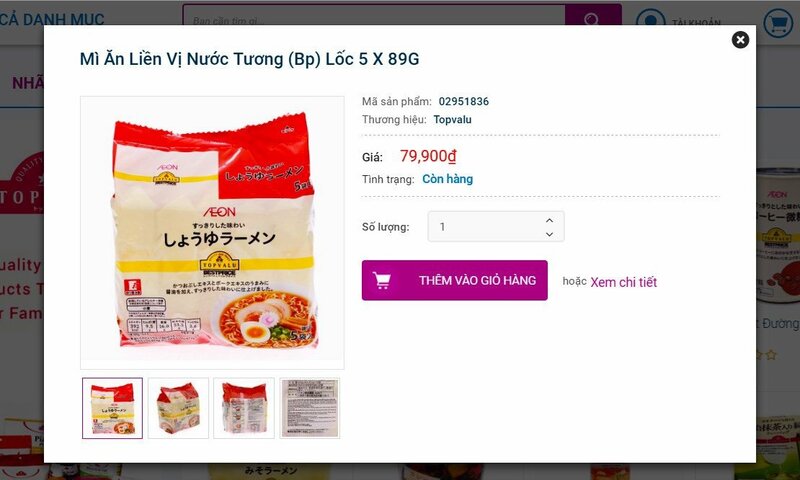 - The product price posted on AEON’s website is the final price and already includes the VAT. The price can change depending on the current season and promotional campaigns. The shipment or order processing cost will be included if available, and will be clearly shown on the Order page when you place your order. - Even though we have done our best to ensure that every product information and price shown on the website is correct, errors should still happen sometimes. If we find out any errors in the product price in your order, we will notify you as soon as possible or cancel the order. If we cannot contact you, the order will be automatically cancelled on our system and a refund order will be processed (if paid in advance). AEON will provide detailed information about every product we have posted. You should carefully check it before placing your order. - In case the product you receive does not match what AEON has stated in the product description, please inform the Customer Care department of that as soon as possible as well as make sure that the product is still in unused condition to exchange. Detailed information about our exchange policies can be found on our website. - AEON always wants to provide customers with the best products and service quality on our website and refuses to sell any illegal, copied, fake, replicated goods or those with unclear origins. - In case you suspect that a product is illegally made, copied, fake, replicated or has unclear origins..., please inform us immediately by contacting the Customer Care department to be confirmed and supported. - All intellectual properties, including every design, document, art, software, image, video, music, sound, translation software, origin code and basic software are our own properties. 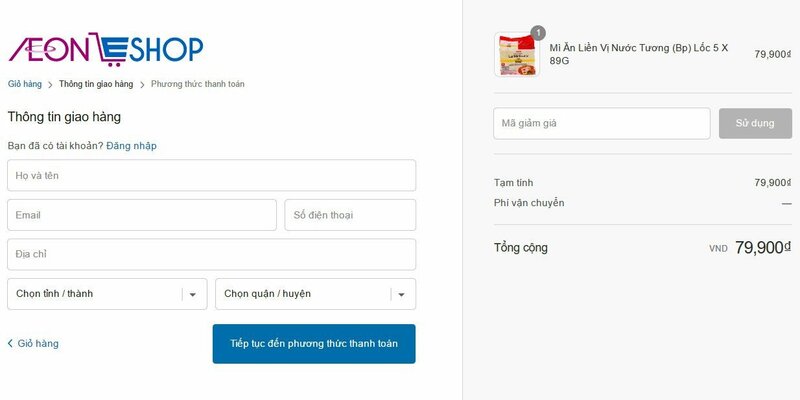 All information of our website is protected by Vietnamese law and international agreements. - Customers are not allowed to use or copy any information, image, software, music… or any other intellectual property of AEON for any purposes without AEON’s agreement. - Information security is always one of our top concerns. AEON apply the best methods to protect the information of customers’ information. Their information during the purchasing and payment process is coded to ensure security. After customers have finished ordering, they can exit from the security mode. - All transaction information is secured; however, when required, it should still be provided to the authority. - To fully understand AEON’s security policies, customers can refer to the Information Security Policies tab on our website. 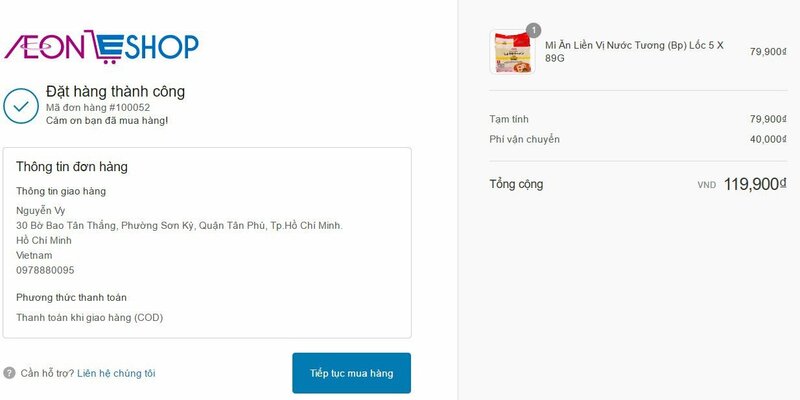 - Customers are required to provide full and precise information when making transactions on Aeoneshop.vn. 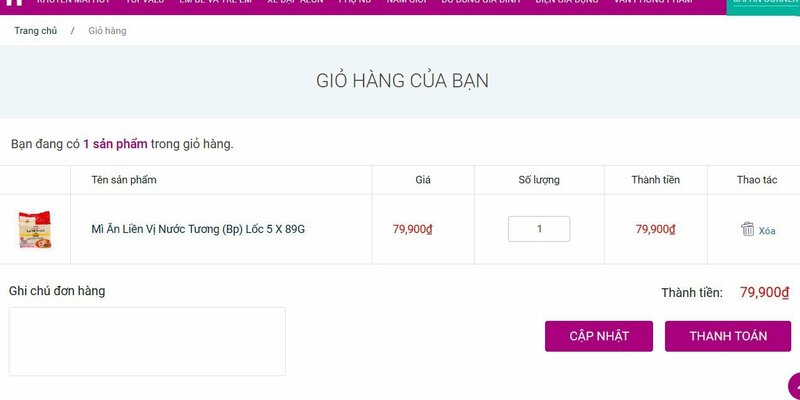 In case the information sent to Aeoneshop.vn is incorrect, AEON may refuse to process the order. 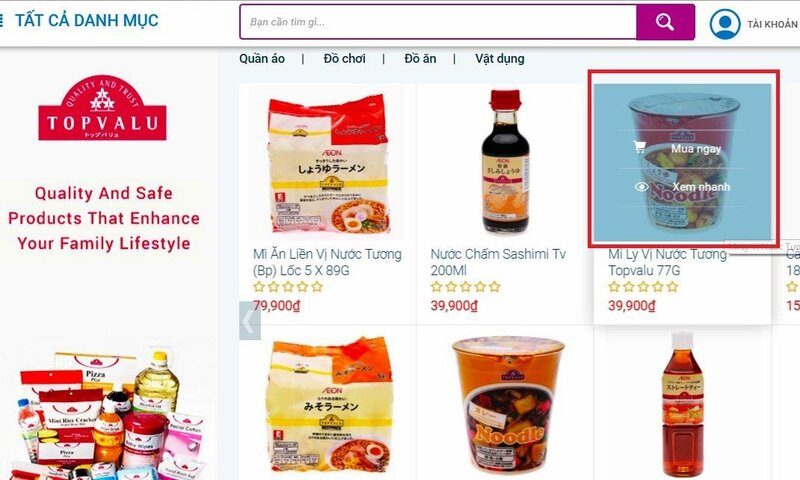 - Every complaint or dispute that arises from or is related to transactions on Aeoneshop.vn or these Regulations and Conditions will be resolved by negotiation, mediation, arbitration and/or trial according to Vietnamese law. - Every regulation and condition (and responsibility that arises from or is related to) is influenced by and carried out according to Vietnamese law. AEON reserves the right to adjust these regulations and conditions at any time if necessary, and these adjustments will be in force right after they are posted on AEON’s e-commerce website.